Not sure what to get someone on your gift list this holiday season? Fleet Feet Hoboken is here to help. We’ve created our own holiday gift guide, featuring unique gift ideas for everyone on your shopping list. 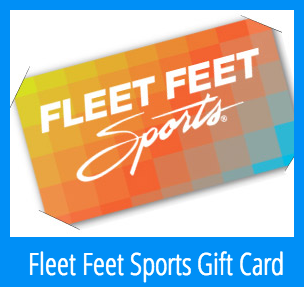 FOOTWEAR - Whether you know the exact style from the outset or would like us to help fit your gift recipient, Fleet Feet Hoboken is the only place to get the very best in product knowledge and service to coincide with our vendor partners’ amazing creations! A-list selections are available from size 5 Women’s through Size 16 Men’s (with many width options as well!) from Asics, Brooks, Mizuno, New Balance, Nike and Saucony! APPAREL - Gym Enthusiasts and Road Warriors alike rejoice! Our aesthetically awesome apparel will keep you warm, dry, and comfortable through all 4 seasons! Check out copious scintillating selections from our vendor partners Asics, Brooks, Nike, prAna, Saucony, Sugoi and Under Armour! 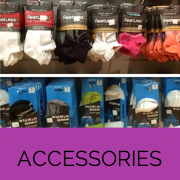 ACCESSORIES - Our practical, functional and dependable accessories keep you on the go, regardless of the season. Remember, when you are looking at Feetures and Balega premium quality moisture management socks, and weather-tested hats and thermodynamic gloves from Brooks, Manzella, Saucony and Sugoi, that you will make life better for your recipient one step at a time. GIFT CARDS- Cool designs, quick and easy to buy, quick and easy to redeem…what’s not to love? You’re now a hero! 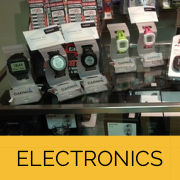 AVAILABLE IN ANY AMOUNT, NEVER EXPIRE NOR DEPRECIATE, REDEEMABLE AT ANY FLEET FEET LOCATION. Don’t forget to ask for your Free Gift Box and Tissue Paper when you come in, and we look forward to seeing you soon!